Better than new with over $28,000 in upgrades. New interior paint and tons of natural light make this home so bright and inviting. Spacious kitchen loaded with cabinets, lots of granite counter space, gas stove, large island and walk-in pantry. The kitchen is open to the great room with a lovely stone fireplace and large mantel. Most of the main level has beautiful hickory wood floors. The master suite boasts new carpet and paint, upgraded tile in the bath, 2 large vanities, huge walk-in shower and separate tub. Olathe is located in Kansas. Olathe, Kansas 66061 has a population of 134,305. The median household income in Olathe, Kansas 66061 is $76,519. The median household income for the surrounding county is $75,017 compared to the national median of $53,482. The median age of people living in Olathe 66061 is 33.8 years. This content last refreshed on 4/21/2019 1:29 PM. Some properties which appear for sale on this web site may subsequently have sold or may no longer be available. 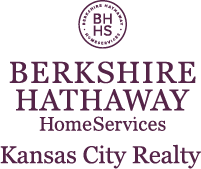 I am interested in 12572 S Gleason Road, Olathe, KS 66061.